Clement Lefebvre has announced the release of Linux Mint 16: "The team is proud to announce the release of Linux Mint 16 'Petra'. 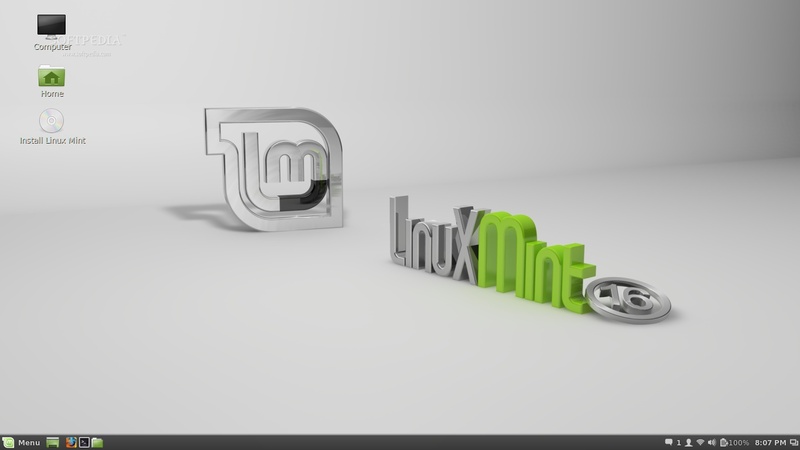 Linux Mint 16 is the result of 6 months of incremental development on top of stable and reliable technologies. This new release comes with updated software and brings refinements and new features to make your desktop even more comfortable to use. Cinnamon 2.0 represents five months of development and 856 commits from 28 developers. It features a lot of bug fixes but also brand new features and many improvements. Cinnamon is now able to play sounds when you perform common events such as closing windows, switching workspaces etc." There are separate release announcement for the Cinnamon and MATE editions, with further links to the release notes and the "what's new" pages. Download from here (SHA256): linuxmint-16-cinnamon-dvd-64bit.iso (1,194MB, torrent), linuxmint-16-mate-dvd-64bit.iso (1,265MB, torrent). Linux Mint is an Ubuntu-based distribution whose goal is to provide a more complete out-of-the-box experience by including browser plugins, media codecs, support for DVD playback, Java and other components. It also adds a custom desktop and menus, several unique configuration tools, and a web-based package installation interface. Linux Mint is compatible with Ubuntu software repositories.